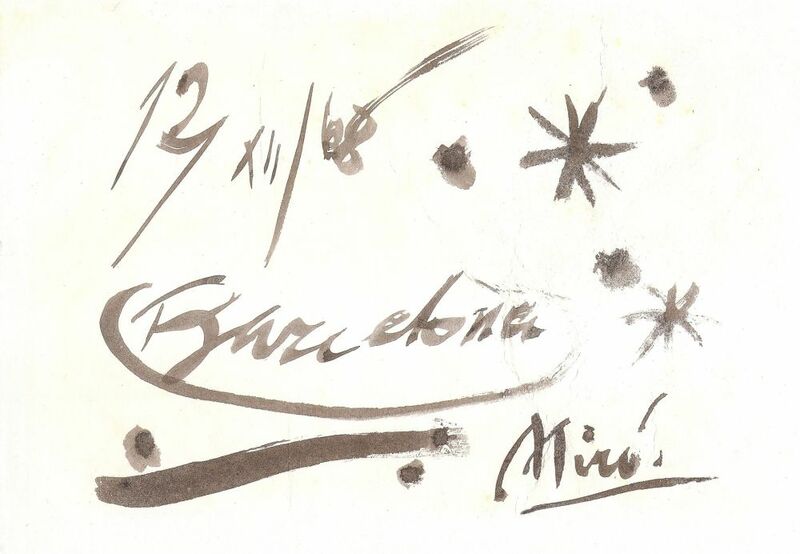 An untitled drawing in India ink on fine wove paper, signed and dated (12 / XII / 68) by Miró. The edges of this drawing used to be glued onto a mat. It was professionally removed from the mat and restored. Although the drawing looks perfect, the marginal restorations are visible if light is shined through it. In any case, these restorations will not be visible if the drawing is framed.